These sample Brand Ambassador interview questions will help you evaluate candidates’ marketing skills. Feel free to modify these questions to suit your specific job duties. Brand Ambassadors promote a company’s products and/or services through online and offline channels. They help build a strong brand that creates new sales opportunities. Your future hire will be the company’s face to the public, so look for highly professional people who have a flair for customer interaction. Your ideal candidates will be excellent communicators. They will have previously researched your company and be able to present its products/services in a positive light. Keep an eye out for candidates with experience using social media for business. 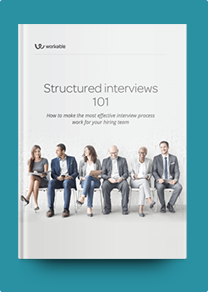 Provide candidates with hypothetical scenarios to test how they react to clients’ questions and comments, online and offline. The best among them will reply accurately and with grace. Be sure to ask candidates’ about their flexibility if the position requires traveling or working after hours. We just got a very negative review on X site. Would you reply to the person or inform the Marketing department first? A customer posts a complaint on our public Facebook page. If there’s truth to the complaint, how would you reply? Why would or wouldn’t you delete posts on our social media pages from troll accounts? You are at a promotional event and there is no traffic at our company’s booth. What would you do to attract potential customers? What are your main responsibilities as a Brand Ambassador? Are you familiar with our products/services? Who do you think is our target audience? In your opinion, how do we stack up to the competition? Why would customers prefer us over them? What does response rate mean on Facebook messages? How do you keep this rate high? What word-of-mouth techniques are effective? How do you monitor online references and comments for a company/product? How do you usually strike up a conversation with a group of people you don’t know at a professional event? Describe some challenges you have faced with customers in your previous positions. What did you do to ensure client satisfaction? Describe a time you provided your team with customer feedback. How did that help increase client satisfaction? Have you ever suggested new sales opportunities or methods to reach out to potential clients? How did you come up with these ideas and what came of them? Do you leave online reviews for products? Why/why not?